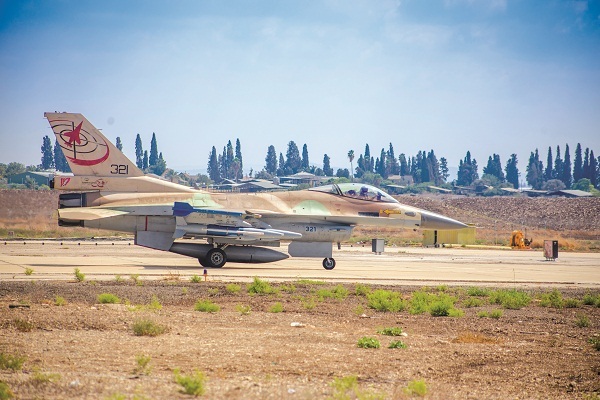 The Israeli Air Force : New Munitions For "Barak"
The "Spice 1000" munition has been declared fit for operational use with "Barak" (F-16C/D) aircraft after successfully completing an examination which included a series of aerial and ground tests. "Spice 1000" is an advanced electro-optic munition manufactured by "Rafael" systems. It was integrated a number of months ago by the 109th and 110th Fighter Squadrons in Ramat-David AFB. "The munition provides the IAF with new capabilities", said Capt. A', a pilot at the 117th Squadron and leader of the integration process. "It provides an effective, simple response to attack plans that were previously complex, while assisting the aircrews to strike with maximum precision". Munitions must undergo an organized integration process led by the IAF Headquarters' Munitions Department before they are declared operational. The munition arrives at the FTC (Flight Test Center) where it is examined before being integrated into the squadron. "As part of the examination, we simulated operational scenarios in which the 'Spice 1000' would be used. When we integrated the 'Spice 1000' munition, there were no written procedures to refer to. Our observations influenced the munition's development", said Capt. Y', the 109th Squadron's integration leader. Said observations were relayed to the Munitions Department, the Material Directorate and "Rafael". "We define the munition's wartime operation procedures", elaborated Capt. B', an officer at the Infrastructure Unit and the Operational Headquarters integration leader. "The operational order comes from the headquarters. We are able to choose our mode of operation following the trial and error of the integration process. I am in constant communication with the squadrons and together we can form a combat doctrine". The tests were completed successfully in August and the munition was officially integrated into operational activity. "The 'Spice 1000' has a great significance for the IAF", concluded Capt. B'. The next squadrons due to integrate the munition will be Ramon AFB's fighter squadrons, which operate the "Sufa" (F-16I) aircraft. Afterwards, it will also be integrated in "Ra'am" (F-15I) aircraft.